No flipping is needed. 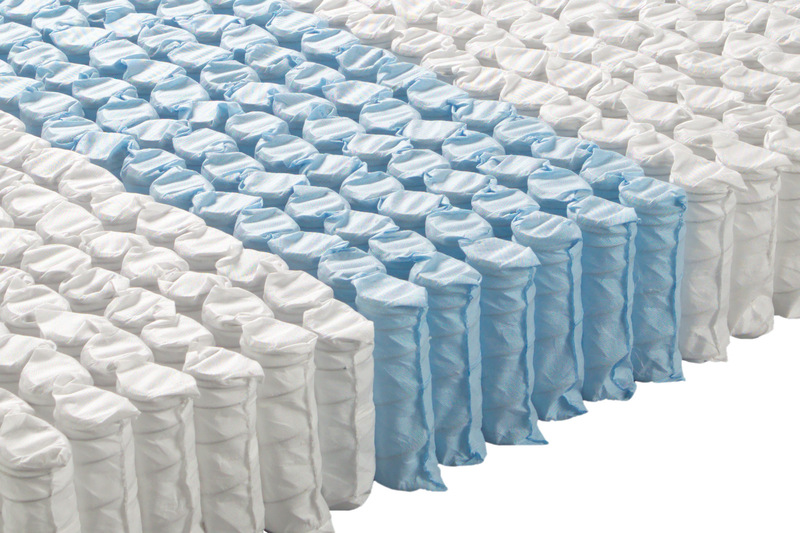 Rotate your mattress once per month, for the first 6 months, then once every 3 months to ensure even performance. No Flipping Needed: Because the Avocado Green Mattress has an internal support coil system with pocketed innersprings as its support layer at the bottom of the mattress, it does not need to be flipped. (Only the top side of the mattress is for sleeping.) There are three zones in the innerspring unit, designed to provide ideal support for your neck, back, shoulders and hips. Because of the way these coil zones are arranged, as shown below, the mattress can be rotated without altering the performance of the zones. Rotating is Recommended: Avocado Green Mattresses contain lofty filling materials like GOLS organic certified latex, GOTS organic certified wool & cotton. These materials will compress slightly when you first start sleeping on your new Avocado mattress. In order to prevent body impressions, we recommend spinning your mattress (head to foot) once every month for the first six months. After the first six-months, every 3 months will ensure even wear over the lifespan over the mattress. To make moving and rotating your mattress a snap, our mattress feature four reinforced, hand-stitched handles — two on each side of the mattress.